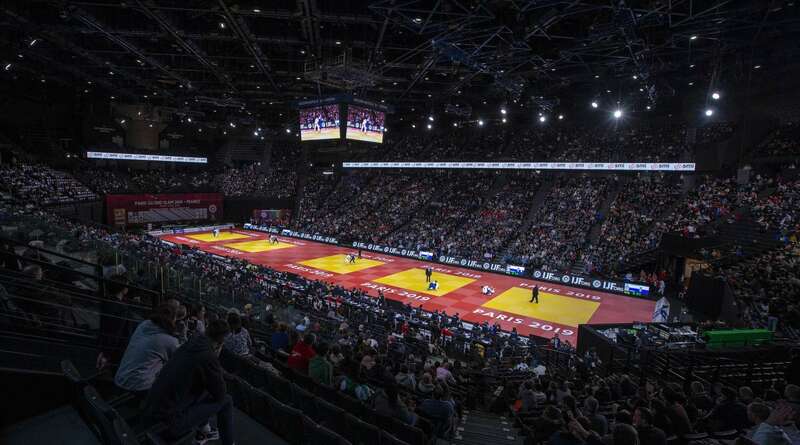 As the IJF World Judo Tour takes a break in April and gives way for the respective continent championships, now is an opportune time to review the first quarter of 2019. The road to Tokyo 2020 has seen many twists and turns since Olympic qualification started at the Hohhot Grand 2018 almost a year. In 2019 the IJF has held seven competitions. The IJF circuit has been relentless this year with seven events in just four months. Countries have a finely turned performance programme with many setting out their full year’s schedule in January. Some countries tend to stop in the same locations year after year due to various reasons including the degree of the offering of points and to avoid clashes with their domestic calendar. Japan, hosts of the Worlds this year and a Grand Slam in Osaka, in addition to the Olympics next year, have participated in three Grand Slams the IJF has held in 2019. The All Japan Judo Federation picked 23 judoka for Paris, 16 for Düsseldorf and 13 for the Ekaterinburg Grand Slam. 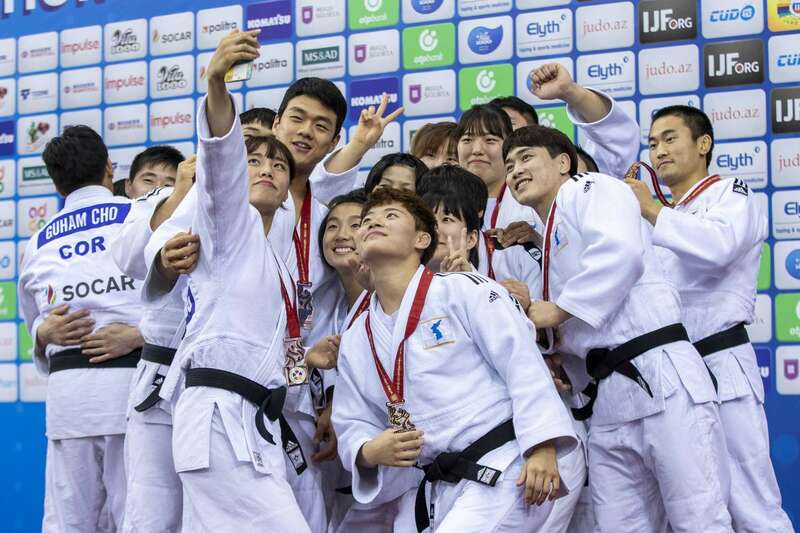 Judo’s founding nation finished top in France and Germany and fourth in Russia with a much-changed team of young judoka and returning champions. Idalys ORTIZ (CUB) and Christa DEGUCHI (CAN) have starred on the Grand Slam stage with two wins apiece for a colossal points windfall. Sagi MUKI (ISR), HARASAWA Hisayoshi (JPN), Mayra AGUIAR (BRA) and Daria DAVYDOVA (RUS) are next in line and all are tied in second place on the Grand Slam stage with one gold and one silver medal. Iryna KINDZERSKA (AZE), Anna Maria WAGNER (GER) and Alexandre IDDIR (FRA) have all won two Grand Prix gold medals this year which is the best return on the Grand Prix stage. 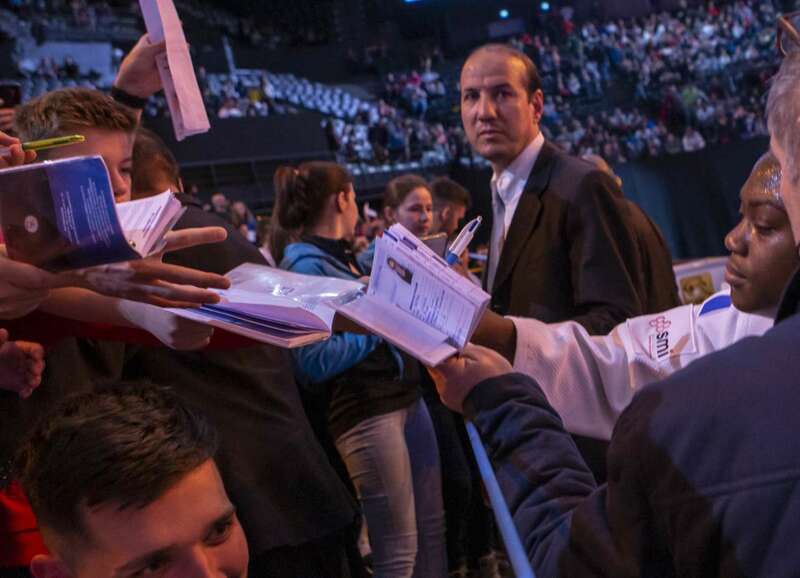 Double Olympic champion and 10-time world champion Teddy RINER (FRA) remains absent from the circuit. RINER, who is unbeaten since 2010, has not fought since 2017 and was registered to compete at both the Marrakech Grand Prix and the Antalya Grand Prix but withdrew at late notice on each occasion. RINER, 30, who is now ranked number 31 in the world, is expected to make a trip to Japan this month for a training camp and is currently registered to compete at the Baku Grand Slam in May. World heavyweight champion Guram TUSHISHVILI (GEO) was due to make his anticipated return to competition at his home Grand Prix in Georgia and step out in front of his home fans. However, it emerged that TUSHISHVILI had participated in another combat sport which is against the IJF rules, and was handed a two-month ban ahead of the Grand Prix. The heavyweight owner of the red backpatch will be tipped to return this summer. 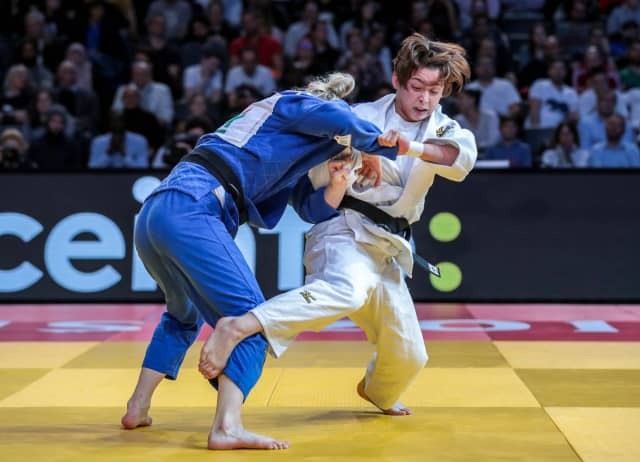 Japanese starlet ABE Uta, 18, who is the third youngest world champion of all time behind Daria BILODID (UKR) and TANI Ryoko (JPN), has not seen action since November. The Osaka Grand Slam winner, who is undefeated since 2016, was due to take part in the Ekaterinburg Grand Slam in March but was ruled out through injury. UTA is not registered for any forthcoming events but is expected to return to the IJF circuit in May or June. Double world champion ARAI won the Osaka Grand Slam in November but is yet to open her 2019 season on the IJF tour. ARAI, who along with teammate ABE Uta has already been selected for the World Championships, has took control of the weight category since the retirement of Olympic champion TACHIMOTO Haruka. ARAI is not currently registered for any upcoming IJF events but will expect to compete at least once before going for her third world crown in Tokyo in August. Which athletes have participated in all seven IJF events this year? Cuba-born 39-year-old Yahima RAMIREZ (POR) is the only judoka that has participated in all seven IJF events so far this year. The London 2012 Olympian, who won European bronze 11 years ago in Lisbon, has travelled the world this year is search of Olympic qualification points. 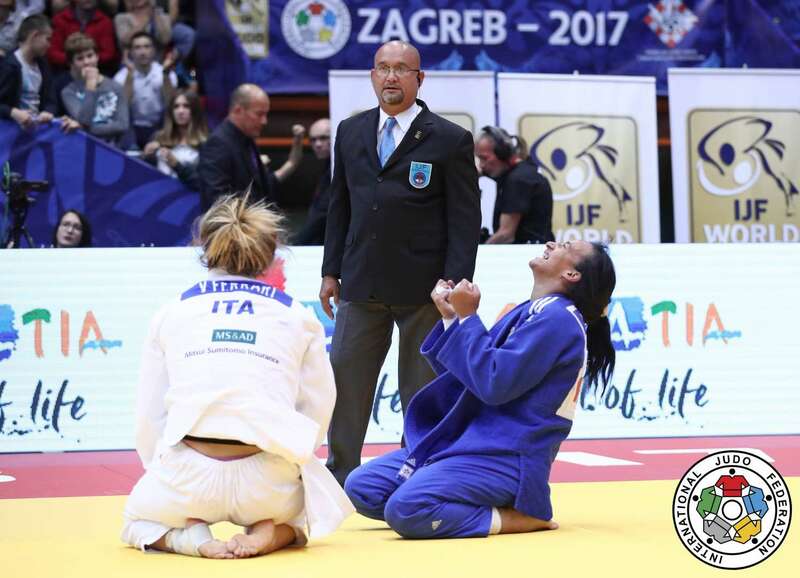 The multiple-time Portuguese champion has won Grand Prix and Grand Slam honours but last stepped onto an IJF medal podium in 2017 with bronze at the Zagreb Grand Prix. From seven IJF outings in 2019, RAMIREZ has earned three seventh-places with a contest record of five wins and 10 defeats. Ever-active and always willing to travel, the -78kg competitor is already entered for the Baku Grand Slam next month and the European Games in June. Which teams are in line for Tokyo 2020? Japan are directly qualified as the host nation while Brazil, Canada, France, Germany, Israel, Italy, Mongolia, Netherlands, Russia, South Korea, Spain and Ukraine are currently qualified with each country boasting judoka in the world’s top 18 in the -57kg, -70kg, +70kg, -73kg, -90kg and +90kg categories. Seven countries have filled five of the required six slots and are in contention to qualify. Belgium, Cuba, Hungary, Kazakhstan, Poland, Portugal and Turkey are missing one judoka from a qualified place in the individual World Ranking List. The IJF World Judo Tour returns from Friday 10 to Sunday 12 May with the Baku Grand Slam, the fourth Grand Slam of the year. Over 500 judoka from 50 nations are currently registered to compete. Olympic champions Teddy RINER (FRA) and Lukas KRPALEK (CZE), current world champions Nikoloz SHERAZADISHVILI (ESP) and Clarisse AGBEGNENOU (FRA), Olympic silver medallist Rustan ORUJOV (AZE) and former world champion Avtandili TCHRIKISHVILI (GEO) and DORJSUREN Sumiya (MGL) are all slated to compete in Azerbaijan. Watch live here on the IJF website.